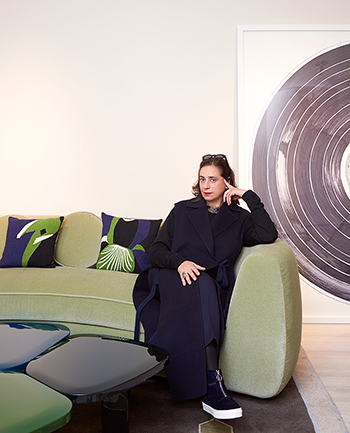 India Mahdavi is a true jetsetter. Born in Tehran, she spent a peripatetic childhood traveling between Cambridge, Massachusetts, New York, Heidelberg, Venice, and Paris, the latter being where she earned her architecture degree from the , before also studying at Parsons, SVA, and the Cooper Union. She returned to Paris to be Christian Liagre’s studio director, then established her there in 1999, designing hospitality and residential projects worldwide and opening two showrooms for her furniture and petite object designs in St. Germain. In 2016, Mahdavi received France’s highest cultural award, . This year, she completed two high-profile projects in L.A. She gives us the scoop. villamladebuky: What is the greatest gift coming from such a well-traveled life? India Mahdavi: My capacity to adapt quickly and understand the essentials. ID: Where did you live primarily, and how did it influence your life? IM: I lived primarily in Cambridge, Massachusetts, and I was influenced by American pop culture, cartoons, and Walt Disney movies. ID: Just completing and your gallery at , what do you find special about L.A.? IM: Most of what you see there is sky, contrary to European cities. The openness inspires optimism. Everything is possible. ID: What sparked your love of color? IM: My childhood memories of movies like Mary Poppins, The Party, and the 1967 version of The Jungle Book. Also, my daily strawberry milk. 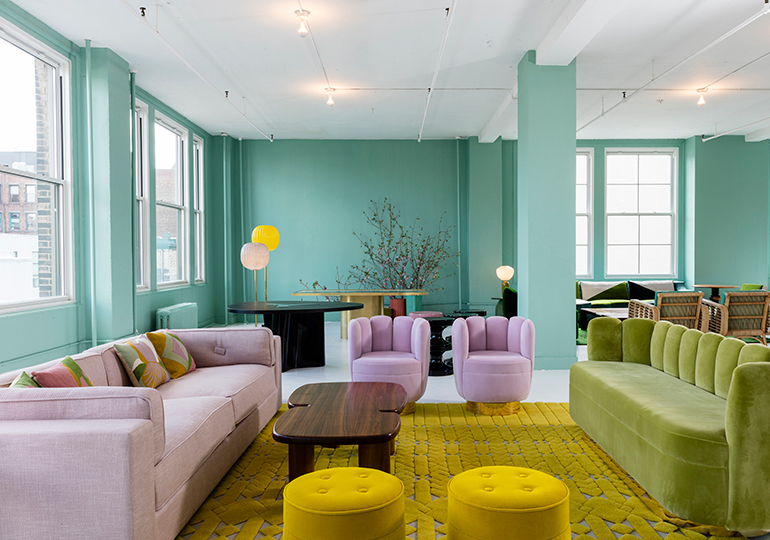 India Mahdavi furnishings at Ralph Pucci's NYC showroom. 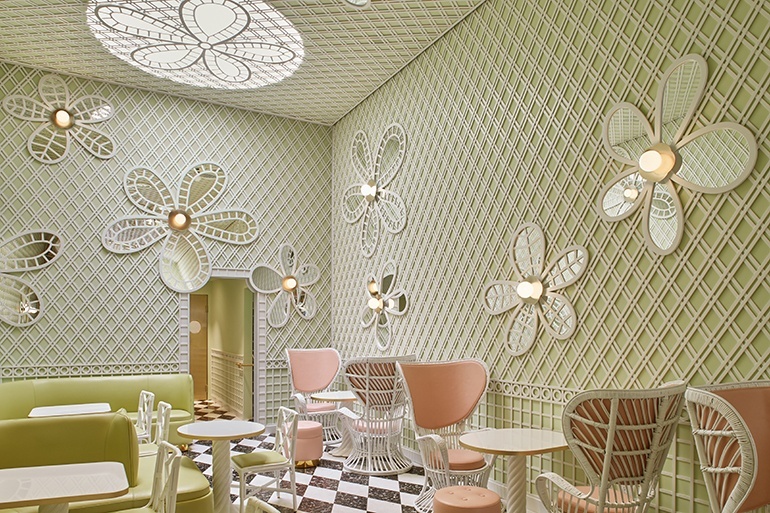 Image courtesy of India Mahdavi. ID: What is your favorite paint color? IM: I’m especially craving greens and pinks these days. But I’m not racist; I love them all. ID: Which work are you most proud of? IM: My 1999 Bishop stool/side table, which is my first ceramic piece and just entered the permanent collection of the . I also just launched a little collection of rattan tables and mirrors that was presented at . ID: Which person, place, or thing inspires you? IM: Maja Hoffman and her nonprofit foundation, . 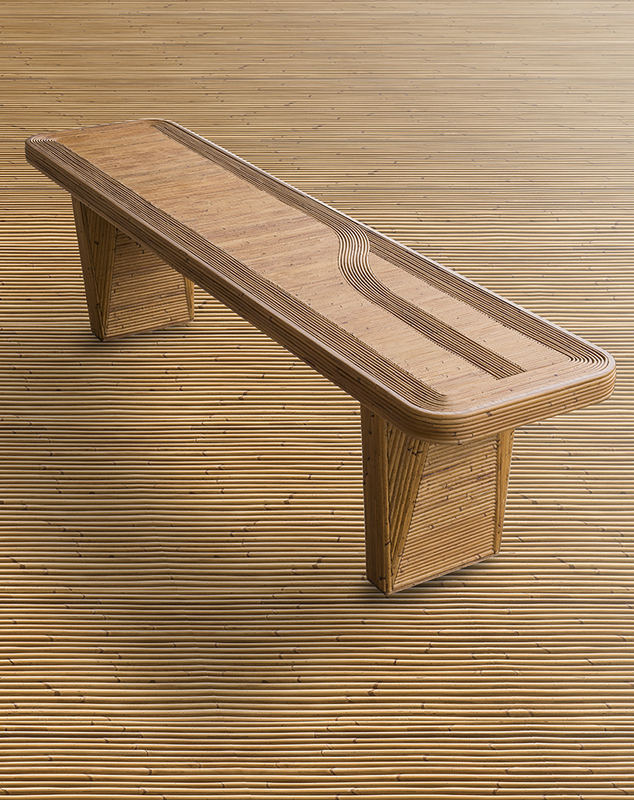 Henri bench in rattan. Image courtesy of India Mahdavi. IM: I love choosing paint colors from the , and I recommend his book, . ID: How many languages do you speak? IM: English, French, some leftover German, and I can get around in Farsi. ID: Which language do you dream in? IM: I dream in color.